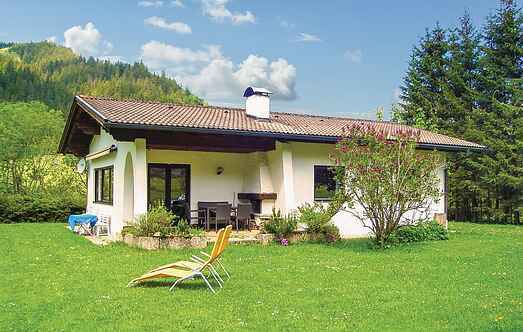 Find a vacation home to rent in Reutte District from our list of vacation rental properties. Campaya has over 36 vacation homes available in Reutte District, which give you the possibility to locate a unique accommodation in Reutte District which completes your check-list in search for the perfect self catering vacation apartments in Reutte District or vacation villas in Reutte District. This comfortable bungalow is located in a peaceful village in Tannheimer Valley. The home is surrounded by forests and meadows and offers a magnificent view of the mountains. Access/parking: parking on the estate. Infrastructure: bakery service; TV room; Ski storage room. ● Distances: Center Bichlbach in approx. 100 m. Reutte in approx. 12 km. Füssen in approx. 26 km. This beautiful villa is ideal for a couple. The home is surrounded by a part of the garden, from where you can enjoy a gorgeous view. In this beautiful country house we can offer you 3 apartments (ATI584-ATI586). The apartment ATI584 is located on the 2nd floor, the other two on the 1st floor. Vils is located between the mountains and is at the foot of two romantic mountain ruins. Nestled on the sunniest and quietest side of the highest-place of the Tyrolean Zugspitzarena the Ferienwohngen are (ATA082-ATA085). Summer in Ehrwald is very special. Here you will find three bright and friendly apartments in a traditional Ehrwalder country house. You will be amazed by the surrounding mountain view. Summer in Ehrwald is very special. Here you will find three bright and welcoming apartments (ATI745-746) located in Sonnenhof, a traditional Ehrwalder country house.